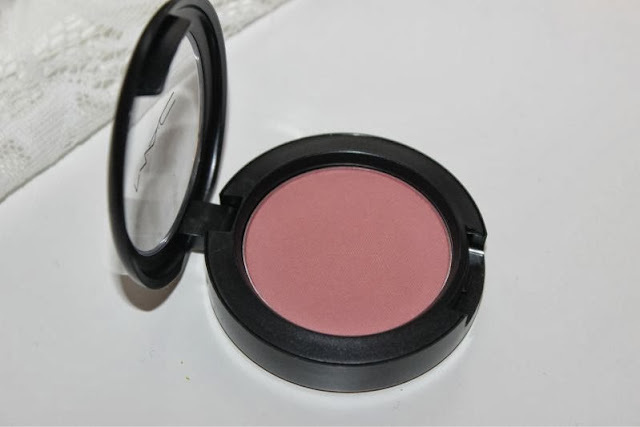 I like to call MAC Mocha Blush my little hidden treasure. 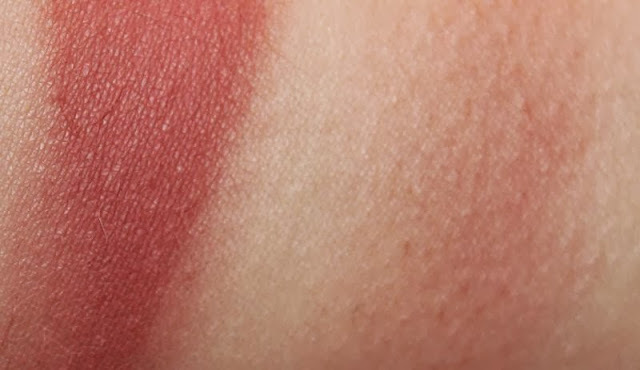 It is one of those shades you would easily bypass at a counter yet should you swatch it I can almost guarantee you will walk away with a pan firmly in your clutches. Why? 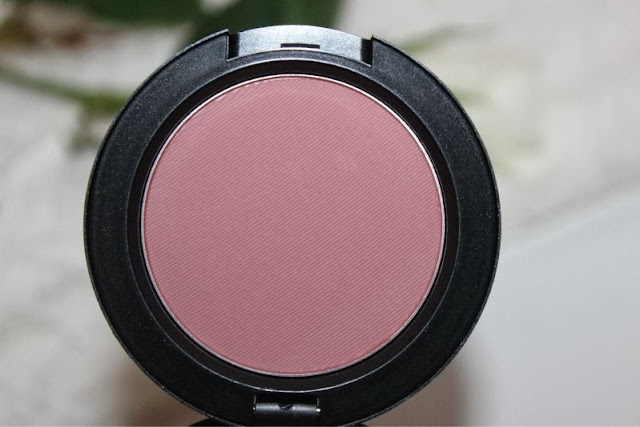 It is the perfect rosy brown pink that flatters nearly all complexions and due to it being a soft matte finish it is ageless and won't highlight any flawless. MAC list their Mocha blush as a"soft plum pink" which I would agree with to some degree as it does have a slight blue undertone - not enough that it will be problematic for most skin tones but it is present none the less. 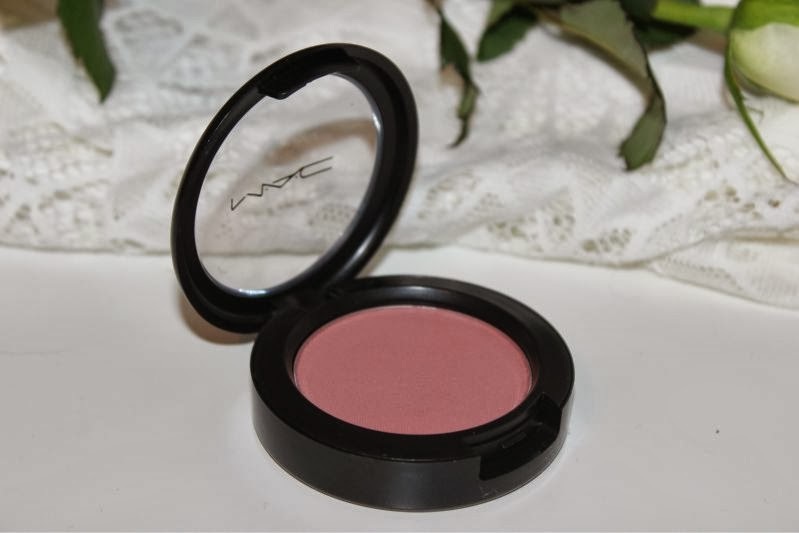 In my opinion MAC Mocha is a dusty almost deep pink shade that has a slight cool toned bronze leaning - I liken it somewhat to Benefit Dallas only this is far more flattering on the skin and of course shimmer free. The other point I'd like to make is that this applies much deeper than the shade the pan suggests - if applied with a heavy hand it can look a little red in tone. 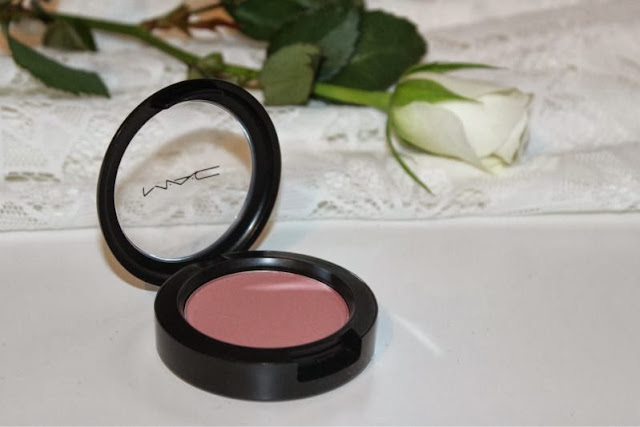 I would like to say MAC Mocha will suit all skin tones but that may be me over stretching, it could garner a little ashen on those with a deeper complexion. 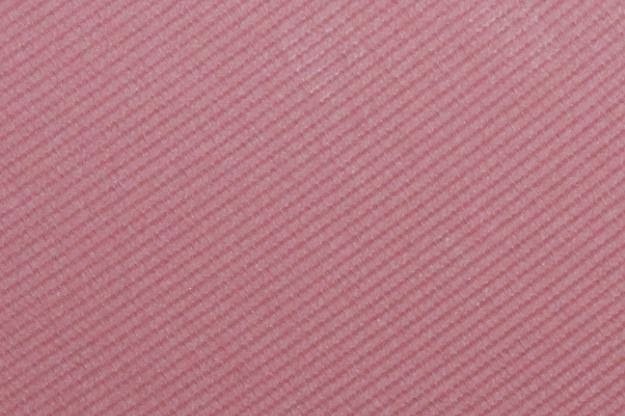 However if you are light to medium deep this is a shade I recommend you invest in. MAC do matte blushes rather well - they are beautifully pigmented, soft to the touch and don't cake or highlight flaws on the skin. Rather they give the skin a natural flush of colour that wears well (up to 9 hours with a primer on my oily skin) that looks soft and does not settle into my enlarged pores. Despite being a silky soft texture there is no issue with product fall out nor pigmentation. 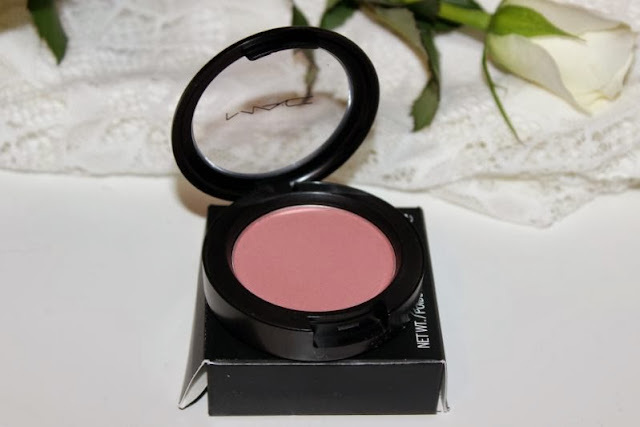 At £18 this isn't cheap but it is the one MAC blush that I have repurchased time and time not to mention I wear it all year long. Like I said it is is a little hidden treasure in amongst the countless blush offerings. To try it is to love it!